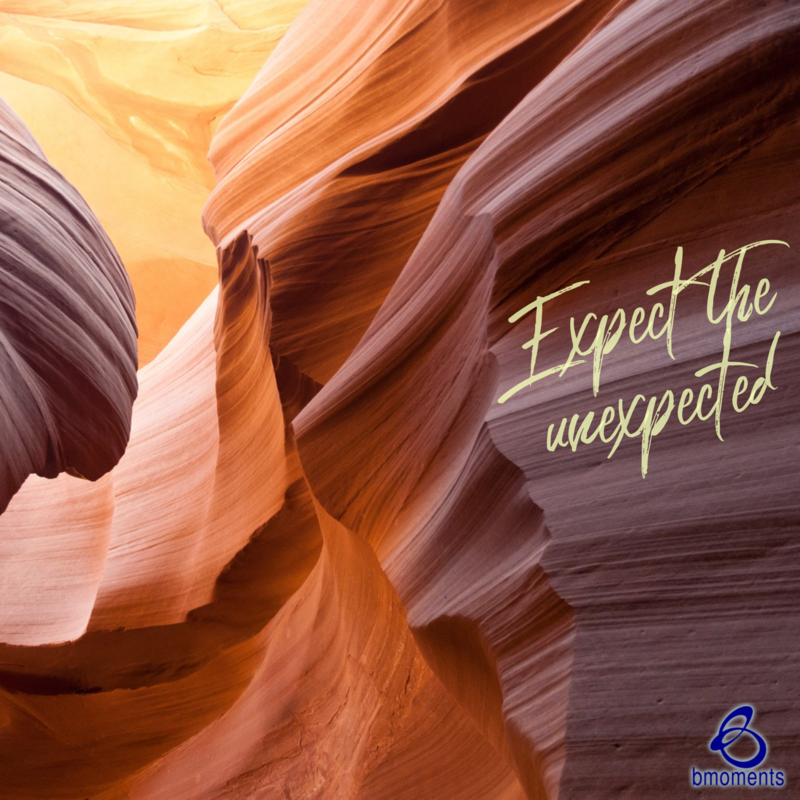 Today I am encouraging you to expect the unexpected. By this I mean that it’s important to keep an open mind about who or what God chooses to work through. Recently I was reading about the Israelites and their long journey toward the Promised Land. They became very hungry and thirsty along the way, so God instructed Moses to command a nearby rock to pour out its water. Moses struck the rock twice with his staff, and suddenly water spurted forth. There was actually enough water to satisfy both the people and their livestock. After reading this passage, I thought to myself that we just never know who or what God will use to meet our needs. Moses and Aaron only saw a rock, so they didn’t think twice about that rock being their source for water—even though that is what ultimately ended up quenching their thirst. In the same way, we may judge a person or a new opportunity and quickly dismiss it for not being a source that can fulfill our need. I know this is especially true for me because I oftentimes become fixated on one way a problem can be solved, and lose sight of all the other ways God can solve things. Sometimes it is the one we least expect or the new opportunity we resist the most through which God will choose to answer our prayers. In what area of your life do you need to expect the unexpected? So today, expect the unexpected.